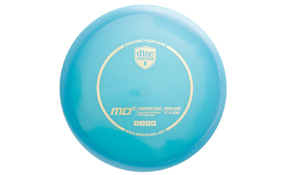 The MD5 is Discmania's most overstable midrange designed to give the trustworthy stable fade that players are looking for. Great for powerful hyzer lines, dependable flicks, and designed for optimal flight. This midrange has a beaded, low profile shape that allows it to feel comfortable in the hand and release smooth on every throw. 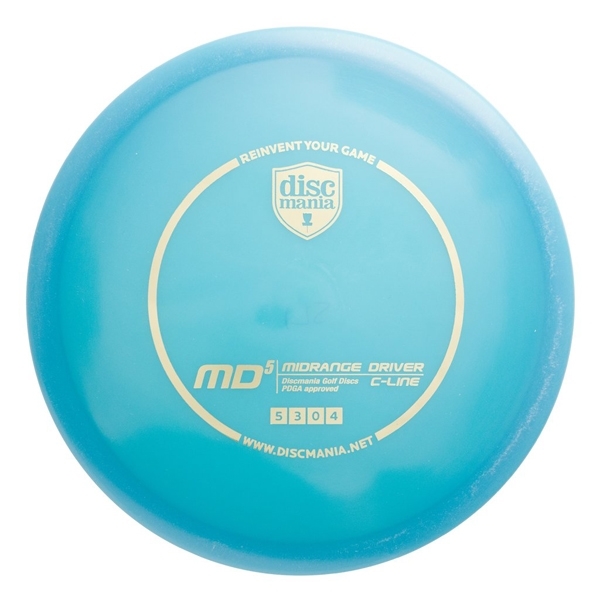 The convex lower wing provides a surprising amount of glide for such an overstable disc, allowing the MD5 to fade further than other mid-ranges in its class. C-Line: Our most durable plastic – these discs wear down very slowly. C-Line discs retain original flight characteristics for an extended period of time. Whether used in heavily wooded situations, or on extremely rugged courses, the C-Line plastic will continue to perform predictably and avoid damage better than any other plastic. Good grip and showstopper see-through look. Typically the most stable blend of plastic in our line. Copyright © www.dtworld.com. All Rights Reserved.